In June 2018, the Land Transportation Franchising and Regulator Board launched the operations of the Senate Employees Transport Service Cooperative (SETSCO)'s modernized jeepney fleet. Some senators are calling for the postponement of one of the Duterte administration’s flagship policy reforms, the Public Utility Vehicle (PUV) Modernization Program, on grounds that the government is not fully prepared to see it through. 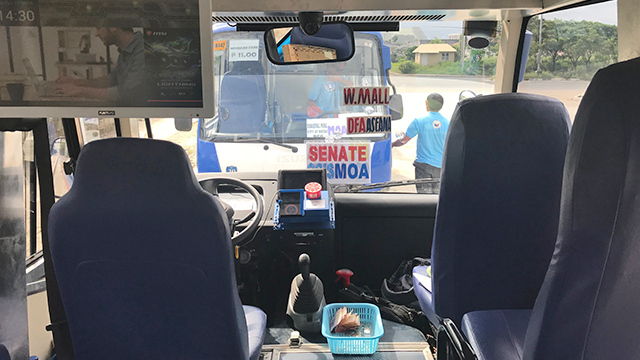 Yet, one of the early adopters of the program is the Senate Employees Transport Service Cooperative (SETSCO), which is owned by Senate employees. The coop owns a franchise for jeepneys plying the route from the Cultural Center of the Philippines in Manila to SM Mall of Asia (MOA) in Pasay City, passing through the Senate building in between. It has been operating a jeepney service along the route since 2005 though it suspended operations in October 2016 due to financial losses. In June 2018, SETSCO was granted a fresh franchise under the PUV Modernization Program, one of the first groups to win such a mandate from the Land Transportation Franchising and Regulatory Board (LTFRB). It also entered into a deal to acquire up to 35 modern PUVs from Japan’s Mitsubishi Motors. So far, 15 of the units have been delivered, making SETSCO one of first groups to actually operate a transport service using modern jeepneys or PUVs. These vehicles must run on Euro 4 fuels and have doors at the curbside rather than at the rear, which is considered unsafe. In addition, they must be equipped with a GNSS receiver, CCTV, dashboard camera, an automatic fare collection system (AFCS) and must provide free wi-fi. 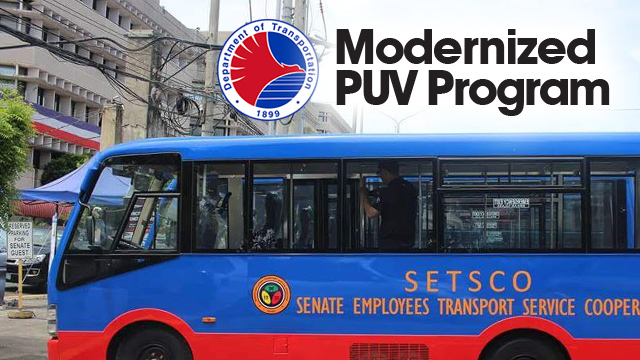 In line with the Modern PUV program, SETSCO transformed from an organization composed of jeepney owners who rented out their vehicles to drivers who paid a daily rent or “boundary” into a grouping of members who owned and controlled the cooperative collectively. If, in the past, individual members owned the jeepneys and hired their own driver, this time, the cooperative collectively owned the modern PUVs and employed the drivers. The modernized jeepney could seat at least 18 people and can accommodate around six standing passengers. She recalled that SETSCO was borne out of necessity. In 1997, the Senate’s office was relocated to the outskirts of Pasay City. The nearest major road was at least a half kilometer away, giving Senate employees little to no option for public transportation. Most were forced to either hail a taxi or to endure long walks just to get to and from the Senate building. So Venturina, along with fellow permanent staffers in the Senate, formed SETSCO to operate a fleet of jeepneys that can transport employees from their building to as far as Buendia Avenue and SM Mall of Asia. The cooperative started operations in 2005 with 15 units. In two years, the fleet grew to 35, all of which were owned by around 30 Senate employees. Though the jeepney owners all belonged to the cooperative, they individually handled the operation of each unit, with every driver accountable to the operator of the jeepney. Drivers have to hand over a daily rent or “boundary” to the owner of the vehicle. The arrangement lasted for at least 11 years, until SETSCO went on a transport holiday in October 2016 after majority of the jeepneys were too dilapidated to operate safely or profitably. The SETSCO owns a franchise for jeepneys plying the route from the Cultural Center of the Philippines to SM Mall of Asia (MOA), passing through the Senate building in between. 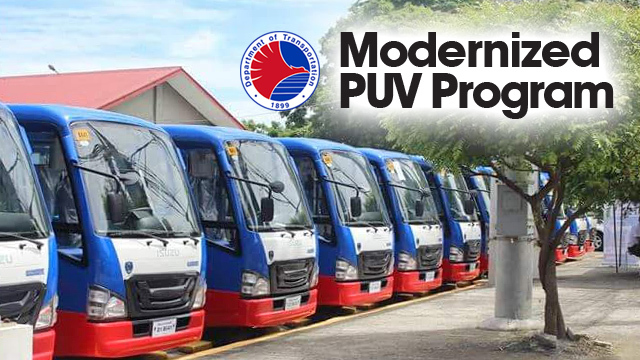 The government launched the PUV Modernization Program in June 2017. By that time, SETSCO’s membership has dropped from 35 to 20 people as some members were apprehensive of the costly requirements of the program. Venturina said the cooperative’s board decided to open up membership to non-permanent Senate employees to boost its resources and capacity to operate anew under the PUV Modernization Program. In the first quarter of 2018, the SETSCO was officially tapped by the Department of Transportation (DOTr) as one of the pioneering cooperatives to operate a modernized jeepney fleet. According to Venturina, being selected didn’t really give them perks, just an advantage over the selection of modernized units. “Yes, it’s expensive, but I believe it’s worth the money since we know it’s of quality. From our estimate, we can have our ROI (return on investment or payback period) in five years,” Venturina shared. That is proving to be a big challenge as each unit costs Php1.7 million each, and government subsidy only amounts to Php80,000 a vehicle, representing payment for each old jeepney surrendered. That means the cooperative incurs a loan of Php1.62 million for each unit bought from Mitsubishi. Venturina did not disclose the terms of the loan. Assuming they availed of the seven-year PUV modernization loan program from the Development Bank of the Philippines that charges six percent a year, Entrepreneur Philippines estimates that the monthly amortization should be around Php23,666. On a daily basis (excluding weekends), that translates to Php1,076. That looks very affordable. However, a SETSCO driver who agreed to speak anonymously to Entrepreneur Philippines, said that each of the cooperative’s vehicles generates only Php1,000 to Php1,500 a day after 12 hours of operation. Since 40 percent of that, or Php400 to Php600, is allotted for the driver, it could mean that only Php600 to Php900 is left for loan amortization and other needs. Clearly, it wasn’t enough. Aside from its larger size, the modern jeepney also features a TV which may show ads. 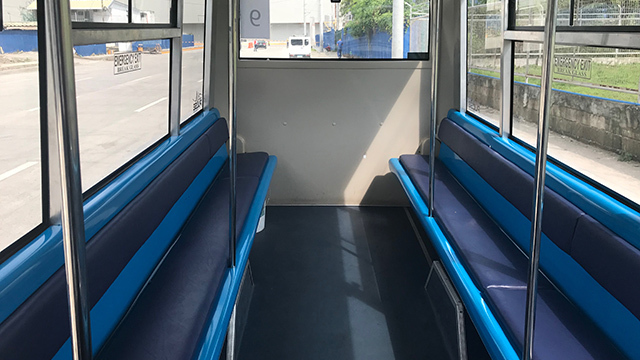 The SETSCO’s route, which now runs from the Senate office to the still unopened Parañaque Integrated Terminal Exchange, has hardly any passengers as of the moment, as most travel in private cars through Macapagal Highway. Most drivers would only be able to secure passengers during rush hours in the mornings and evenings, when office employees in the area commute to and from the office. Venturina admits that after two months of operations, SETSCO has yet to turn a profit. Most operational expenses are still shouldered by the cooperative’s internal funding, which got a big boost though a generous donation made by Senator Juan Miguel “Migs” Zubiri. “He gave it to us in 2011 as a gift to help us fund the repair of our jeepneys. But back then, when we received it, the coop decided not to use the money since we knew way back that there was a modernization program being pushed by the government. So we waited,” Venturina explained. Still, the SETSCO chairperson is optimistic that once SETSCO’s modern jeepneys become fully operational, they can generate more profit than their previous business model. Venturina said the modern PUVs, which are equipped with television sets, may even show ads. The only thing hindering its rollout is the cooperative itself, as the rates haven’t been fully finalized.